Quick, a shipping update: We have about about 20 books left to go out and these are people who filled out their surveys late. No worries about that, it just got your order bumped to the back of the line, but now your time has come! Unless something crazy happens I will have all of these books out by the end of the week. Yippee! Next, DIGITAL DOWNLOAD! The Last Amazon Digital Download Edition includes an extensive 24 page "Making Of" section not found in the physical print versions with never before seen art and behind the scenes images from The Last Amazon creative team at Apotheosis Studios. In this exclusive making of section, David (the Illustrator) and I (Jamison, the author) go into detail about our thinking behind The Last Amazon and share our perspective on our own work. Click HERE to get your copy now! We really hope you enjoy the Digital Version and Making Of section! 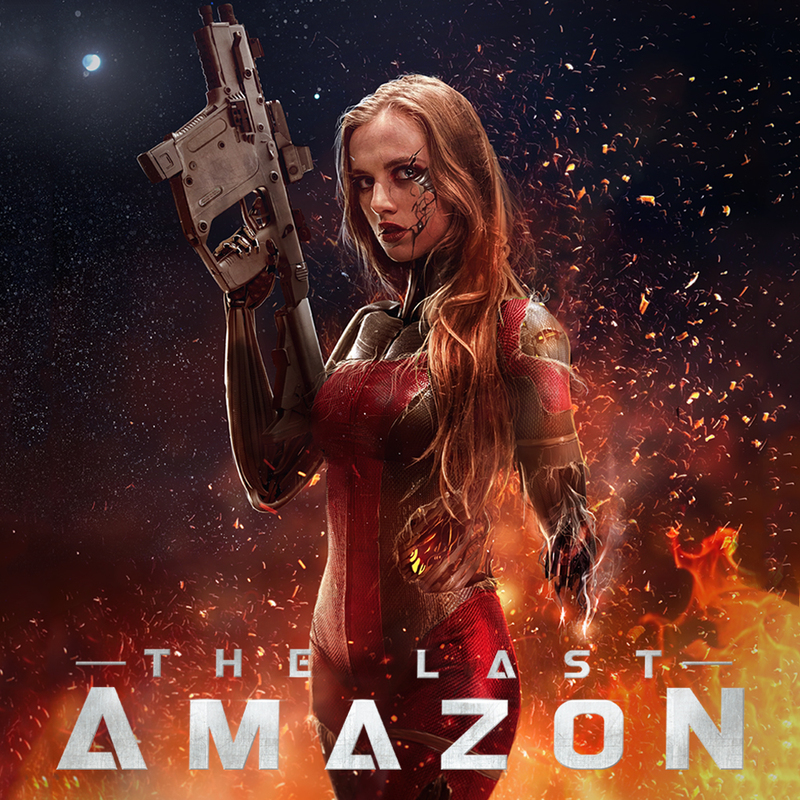 "I picked up The Last Amazon by Jamison Stone because I enjoy a good comic every now and then, and the blurb of the book sounded rather compelling. It actually is hard to tell you what the story is about in just a few sentences as it's a lot more than I initially expected. The whole graphic novel (because comic isn't quite the right word) is a lot more than I expected and one of the most fascinating books I've read this year. Visually, it's absolutely outstanding and moves away from the classic comic book panel design. Each page is a new and different experience, which is great fun! "The story moves ahead at a fast pace, so you don't have much time to take a breather. There is a lot to absorb, and at times it can be a little overwhelming (in a very positive way). I liked that real women were used to portray the female main characters, and the digital versions just looked awesome. I also liked the small details, e.g. the cat portrayed with Danni. A lot of work must have gone into this, and the effort that has been put into this book definitely paid off. Wow!" David and I are so glad Kim liked it! How about you guys? Please, please, PLEASE post your review on Goodreads.com HERE, and Amazon.com HERE. Thank you!